Hospitality & Tourism industry has seen massive growth in the past few decades. Yes, this is not news and thus we try to look at this unprecedented growth of the hospitality & tourism industry with the perspective of a job seeker. So, if you are a job seeker, this post would explore why the hospitality industry can be one of your best bet. If you are already in the hospitality & tourism industry, take a sigh of relief as the growth of the hospitality & tourism industry is set to see the further push. Let’s first look at a few numbers to assert our claim. The key information or the number that a hospitality & travel industry professional must be aware that as per the World Travel & Tourism Council- 1 in 5 jobs created globally over the last decade has been from the travel and tourism sector. Yes, that sums up the growth of the hospitality & tourism industry in the last decade at least for the job seekers. However, that’s not all. We have some more numbers to put up here that might bring smiles on the face of all those who are employed in the hospitality industry. Hospitality and tourism sector is now worth over 10% of the Global GDP. Further according to the WTTC report, travel and tourism accounted for over 313 million jobs. That’s close to 10% of total employment in 2017. The employment contribution of the hospitality sector is expected to rise at a rate of 2.4% for the next decade. So, when other industries are facing job cuts, the hospitality industry is set to keep offering more jobs. Capital investment in hospitality and tourism is also expected to rise over the next decade as per the reports of WTTC. Developing countries are going to witness even bigger growth of the hospitality & tourism industry. Countries like India, Brazil, South Africa etc. have eased norms to open up investment opportunities of the largest hospitality companies in the world. It is thus an advantage for developing countries like India and the job seekers from these developing countries. The next decade is going to witness huge growth. Take for example the Indian Travel industry as per the reports of India Brand Equity Foundation. The IBEF report suggests a rapid increase in the overall number of international visitors as well as medical tourists by 2028. This is set to create a lot more job opportunities for the hospitality industry job seekers. While developing nations are taking lead developed nations are not far behind. The US is already a market leader as far as the hospitality industry revenue is concerned. The travel and tourism industry in the UK is set to grow even amidst the pressure of Brexit. Shrugging off the Brexit pressure, the hospitality industry in the UK is set to grow. The tourism industry in the UK is expected to be worth GBP 257.4 bn by 2025. More details are provided by the website visitbritain. To accommodate for the rising growth of the travel industry, the hotel industry is set to witness an unprecedented growth which is one of the key sectors of the hospitality industry. Hotel Industry Market statistics provides more details on how the hotel industry is expected to benefit out of this scenario. The hospitality job seekers would see the jobs plus training opportunities increase over the next decade. The past few decades have been terrific for the hospitality & travel industry and there is no stopping the growth of the hospitality & tourism industry even in the years to come. 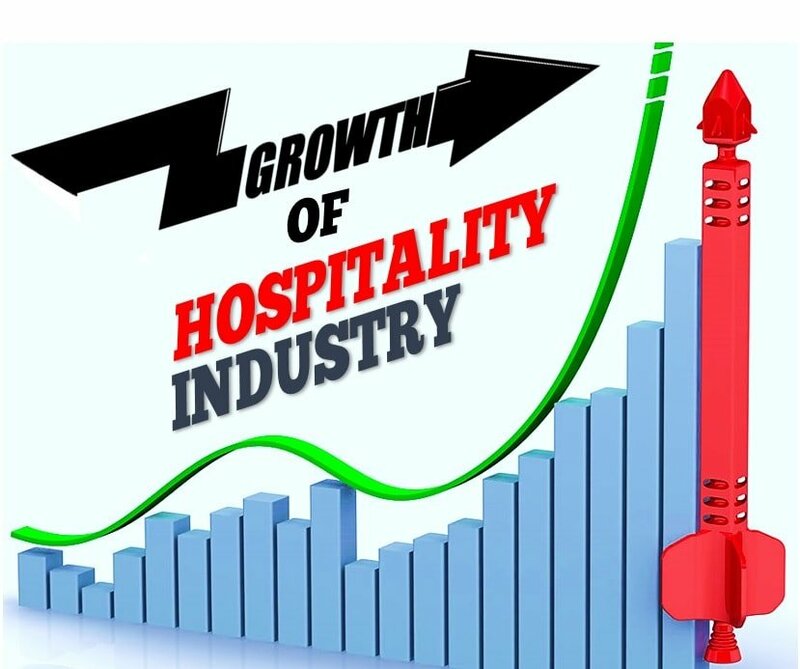 There would be thousands of new hospitality job openings coming up almost everywhere due to the growth of the hospitality & tourism industry globally. All in all a great situation to be in if you belong to the hospitality industry.